Is the U.S. Drone Program on the Border Worth It? Will Obama Go for Climate Change Legislation Alone? 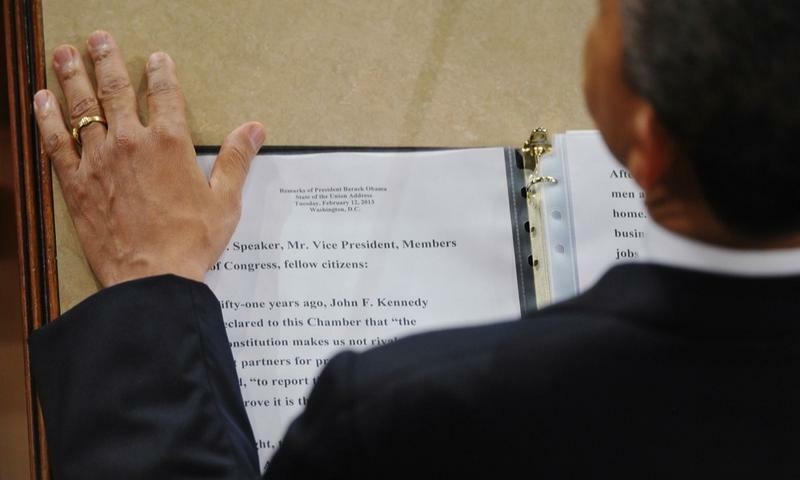 President Barack Obama rests his hand next to a copy of his speech as he delivers his State of the Union address.